So I've been thinking about getting an SVS Ultra 16 sub for the basement rig. Some of you I've noticed have them, despite having the big boy SRS's which for me really bring on the bass. But as you know, this is a journey! Done some research, of course, and FYI below is a link to that very subject on the SVS website. SVS proclaims that the sealed port is better for music. 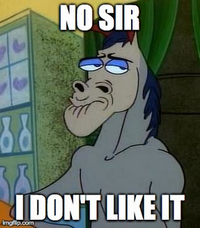 As always, for me, your opinions are extremely valuable. Please share them. What are your thoughts? The consensus here is sealed is better for music. I had up until a short time ago just had ported subs and have em dialed in pretty good for music. They sometimes get a little boomy though. I recently got a diminutive sealed sub for my 2 channel and I am not so sure that it is doing anything lol. I have it blended in so well I don't know it's there. With my limited experience, I would recommend going with a sealed sub for music. ...would recommend going with a sealed sub for music. Who are you? This is the second coherent post from you I've seen today. Thanks Dog. Interesting that you'd go for the 2 12's, instead of the larger 15". Let me know, got my learning on! I do like the SVS SB12 in the office better than the PB1000 that I recently acquired. Although both can be dialed in as you mentioned, the SB seems a better match for the smaller room. LOL dude! I had to do a double take when I read diminutive! Another thing to mention (as noted personally and on this forum), SVS customer service is excellent! The single 15 is better than 2x 12s? I've never tried stereo subs. Ha, yeah, we haven't heard Tony say that in a while. Verb, when I started looking for a sub, some of the gurus here recommended speaker level inputs on the sub. That way the sound signature of your amp comes through the sub. I narrowed it between the REL and Rythmik, and went with a Rythmik F15HP. When it’s on you really don’t know it’s on. But turn it off and you can tell it’s missing. It’s amazing how well it blends into my system. Rythmik F15HP. When it’s on you really don’t know it’s on. But turn it off and you can tell it’s missing. It’s amazing how well it blends into my system. Ported or sealed subs is a common debate. 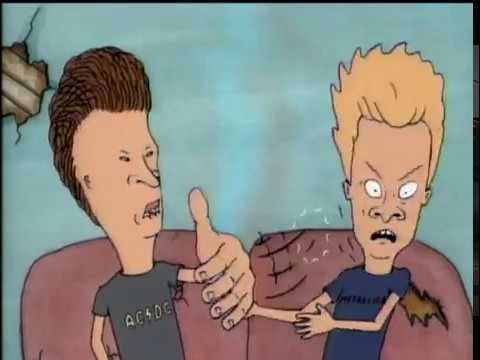 Most respectable manufacturers, that make both, claim that ported subs work well with music. There is usually some port measurable port chuffing, but from what I mostly have read, it occurs at pretty low freqs on well built subs. Usually below 25 Hz, which happens very infrequently in most music, there are exceptions. Likewise, for those who argue for sealed, there are quite a few that will dig low enough for movies. Not uncommon to find sealed subs measured at 16 Hz. Of course they won’t put out the same spl as a comperable ported sub, all things being equal. I have no reason to doubt any of these findings. Maybe 10 years ago there was a large enough preformance difference to select one or the other when the emphasis is music or movies, but that is no longer the case. From my personal, and limited experience, comparing sealed and ported subs, I’ve only found one major difference. They sound different. Even the best designed and manufactured subs, from the same company and series sound different. Problem is I can’t really describe the difference, even when I’m comparing them. I think the difference between the sounds is just what one prefers. I actually prefer sealed subs for both music and movies, but I’ve been running a sealed sub for quite some time, and I just may be used to the overall sound signature. Not saying one is better than the other, just different. If your currently running a sealed sub, and just looking for more, but otherwise happy with the preformance/integration, than you should stick with sealed. If your craving a slightly different sound signature than try ported. Point being, in the case of SVS Ultra line, the ported will sound different than the sealed. They may measure ruler flat, and whatever chuffing will probably not be an issue with music. I personally also think when a reviewer is trying to describe the difference they hear, they really can’t. So the old stand by of the sealed sounds a little faster, or something similar is used. My comment is probably of no use to you, but it is my personal observation. A good quality sub, be it sealed or ported, should integrate and preform well with whatever application they are being used in. Much like a manufacturers house sound, this seems to exist in subs also, there seems to be a ported and sealed sound. Sometimes I hate this hobby, but I’m sure that’s true for any hobby. Nice comments! And very useful! Thank you! When I was shopping, SVS suggested a pair of ported subs for my two channel. All manufacturers suggested two 15" subs for my main level space. 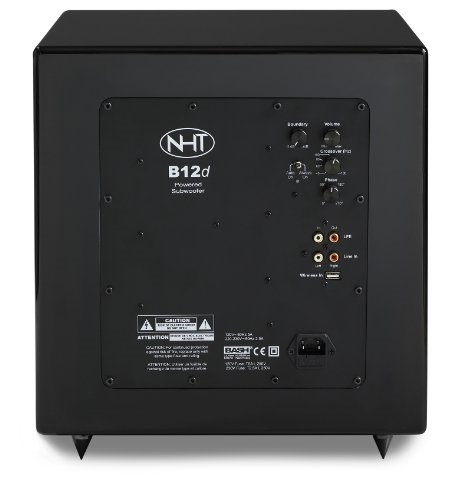 I went with a pair of NHT B-12d's. Great subs, plenty of adjustments. NHT had some killer sub offerings over the years. Salk uses Rythmik innards for his subs. 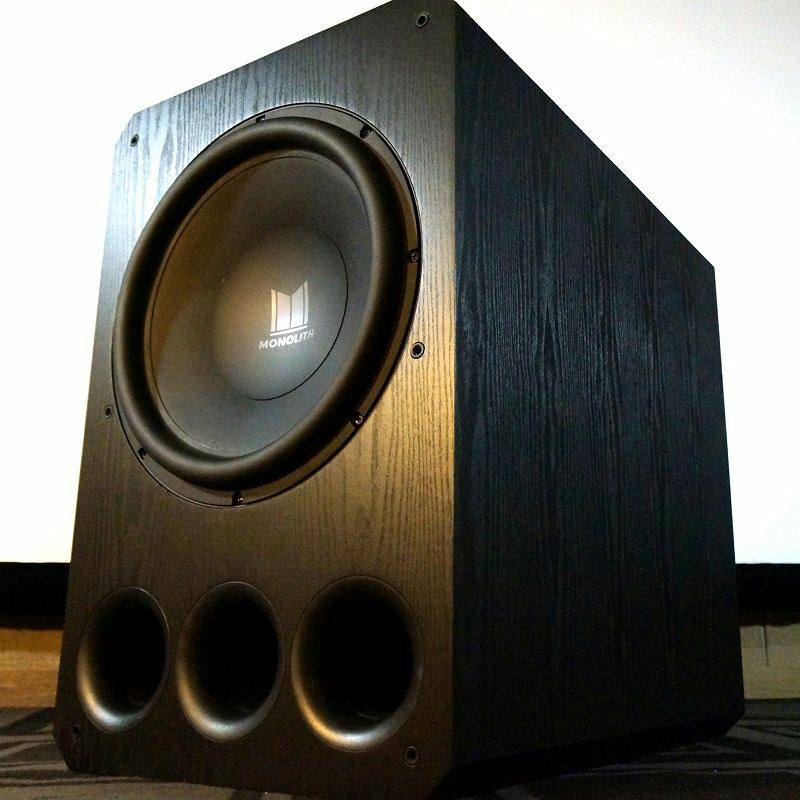 I would like a pair of subs to match my speaker veneer, but I don't want to spend that much. I've always been a fan of large sealed sub and infinite baffle subs going way back to my car audio days. A sealed 15" is what I mostly like for the home. I've however listened to well integrated ported subs in the car, home, and beyond. I bring up car audio because many associate that with the 'BOOM' however, I've always been about accuracy. The car is where I learned to tune a ported sub to sound good. Even in a small hatchback optimized Sub Placement, Level , Phase, Polarity, Crossover will make a huge difference in the sound. I used to strive for up-front imaging and disappearing rear sub playing solo upright double bass tracks; I've used mostly sealed but I've done it with ported as well. Its hard to do because of the resonant nature in a car. Its takes proper integration of the sub to midbass to get it right. Acoustic and electric tracks I've used to tune bass by ear in the home and car. Fast forward to the more advanced drivers, amps, DSP, and optimized enclosures subs today are much better. Ported or sealed can sound good...not to mention many ported subs have the port tune feature. The ports can be plugged to tune to a different frequency or sealed all together. So, yes you can have it all! One can tune the sub in their own space and decide on the sealed vs. ported debate. Maybe even sealed for some songs and ported for others? Even this big dark ported THX monster can sound good for music. Every part of this driver has been developed from the ground up and customized to deliver high output, low distortion, and accurate bass. Our unique hybrid cone combines long fiber pulp and fiberglass, taking advantage of the pulp's superior stiffness with the additional rigidity and lightweight properties of fiberglass, to deliver a driver of massive durability and excursion. The result is a cone that achieves optimal motion at all frequencies it is asked to produce and beyond. FEA (Finite Element Analysis) modeling and Klippel laser based optimizations were used to design a cone that is capable of astounding >90mm peak-to-peak excursions. The lower and upper suspensions are designed together with the motor structure. The lower suspension is critical for maintaining very low levels of distortion at high excursions, which are required for high SPL at low frequencies. The spider is made from multiple layers of NOMEX with integrated tinsel leads hand stitched in place for low mass yet high strength and durability. The purpose of these vents are twofold -- first, they allow convective air flow to cool the voice coil and, second, they reduce asymmetrical compliance due to air compression under the cone/spider, which would appear as unwanted distortions. FEA (Finite Element Analysis) modeling and Klippel laser based optimization were utilized to create this durable, high profile surround that’s made from a unique formulation of NBR (NITRILE RUBBER-acrylonitrile-butadiene copolymer). This formulation was developed after months of modeling and prototyping to ensure the highest levels of excursion, without sacrificing linearity or distortion. The motor is made of CNC milled low carbon steel in the modified undercut "T" pole assembly to focus the magnetic flux. Dual aluminum shorting rings are used to cancel eddy currents, further stabilizing the magnetic flux and significantly lowering distortion. The precision wound, high temperature, all aluminum bobbin (which has a lower thermal compression than copper) enable the voice coil to remain cool. The motor and suspension design is extremely critical for maintaining control of the driver's displacement over a very wide range of input signals, allowing the subwoofer to reach maximum performance and output levels while keeping distortion to a minimum. The Monolith subwoofer amplifier has an extraordinarily high power output of 1000 watts RMS (nearly 2000 watts peak), which can deliver massive amounts of power when needed. Each Class D amplifier is built around a Texas Instruments 48-bit data path (with 28-bit filter coefficients) DSP engine, allowing virtually unlimited design flexibility with the assurance of no signal degradation. Each amplifier's transfer function, power output limiting, and thermal protection are monitored to the millisecond and are customized for each individual woofer and cabinet air volume combination. This state-of-the-art Class D amplifier technology ensures maximum headroom capability, excellent transient response, high output, and very low distortion when driving the Monolith 15-inch THX Select certified subwoofer. HDF (High Density Fiberboard), not MDF, was utilized resulting in a sonically inert cabinet. Internal bracing has been strategically placed to increase overall cabinet strength and limit unwanted panel vibrations that would cause discoloration and distortion. 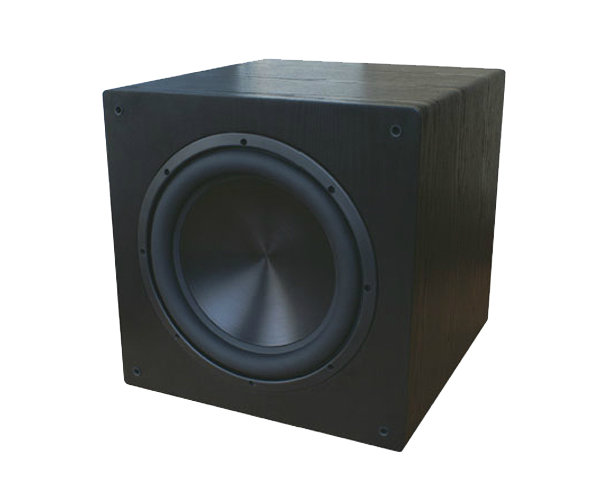 The strong cabinet and bracing combine to ensure you hear massive amounts of bass, not cabinet resonances. The 15" model uses three 88.5mm port with inner and outer flares. Multiple ports are used to ensure high SPL capability at low frequency (fb=21Hz). The dual flares help reduce turbulence and asymmetrical distortions. Additional adjustments can be made by sealing the port with the supplied plug. The "floating" grille is made from non resonant MDF to provide rigidity, while the entire structure is offset from the cabinet to maximize air flow of the woofer and ports. The above is an example of a sub without the pretty looks, bells and whistles that was designed through FEA optimization to perform at a high level. Accurate linear performance throughout the sub bass spectrum. The reviews and measurements support the performance claims. Clean bass is clean bass rather it be for music or movies! The SVS Ultra SB16/PB16 is the pretty, feature rich, high performing sub that all would love to have. However, for $2000-$2500 I would take two of the Monolith 15's or 12's open box for $1099.99/$679.99 each. Then, get a miniDSP, AntiMode 8033, etc. for the clean articulate dual sub win. These subs have to port control option: One port, two port, or sealed! Any of the above should be a worthy complement to the punchy SRS. I run a pair of Rythmik F8 Subs with very good results, the 8's are a narrower design (which I needed) and the Dual 8" Drivers provide plenty of punch. I had previously tried a pair of SVS SB 2000's, but wasn't quite satisfied. The Rythmik Duo showed them the door. I have never bought into the "sealed subs for music" myth. 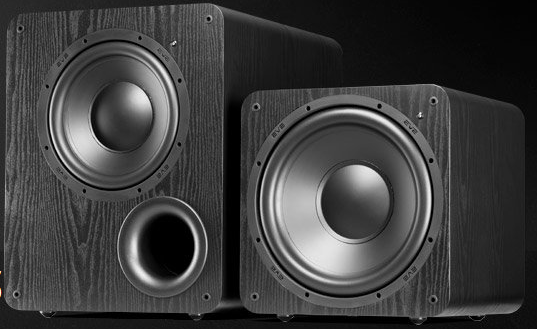 SVS's subs are TIGHT, and going ported will not kill bass accuracy in the least. That's just MY opinion. Very informative read, more to it than meets the eye. I tend to agree Steve, and I will add that I think that HSU subs have a slight advantage over SVS for music, as they have line level inputs, and I find that they have a slightly more accurate crossover. Also, they used to have no rumble filter or EQ, but at least the EQ part has changed...not sure about the filter. Reading further on the Agon link yielded an interesting link. 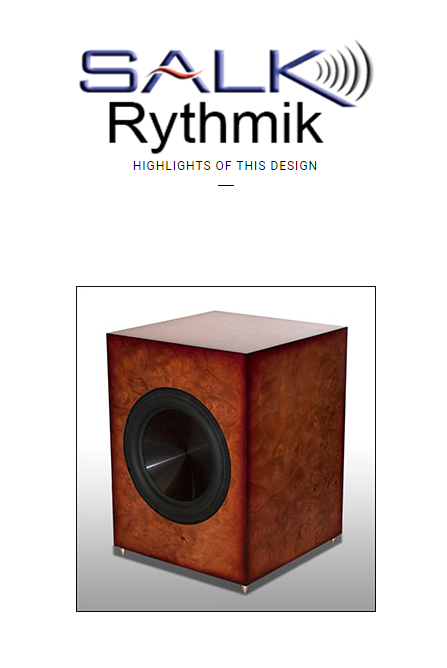 Looks like Salk teamed up with Rythmic to produce some subs! Local company for me! Mike I'm glad you posted this link. Very informative, and worthwhile read. Lot's of interesting thoughts and comments. And very cordial! Another interesting discussion (via Vandersteen's approach) to the benefits of using speaker level inputs to the sub. Got my learning done for the day! I don't think sealed vs ported is as important as the room size your putting it in and the placement. I also fully support running 2 subs over 1 unless you only have one seat in the room that you listen to music in. So let's talk about bass in a room. It's the hardest thing to get right due to the way the frequencies react in your room or space. If the space is small then it's even harder as lower end signal waves are very long to complete and you basically hear the after math later after the wave has completed it cycle. Larger rooms have less issues as they can complete lower waves quicker without so much bouncing around. Running 2 subs helps with more locations to fill the room with more bass. 2 channel systems , all of them can benefit from a sub or 2. The real reason why you want a sub over lets say full range speakers is placement. 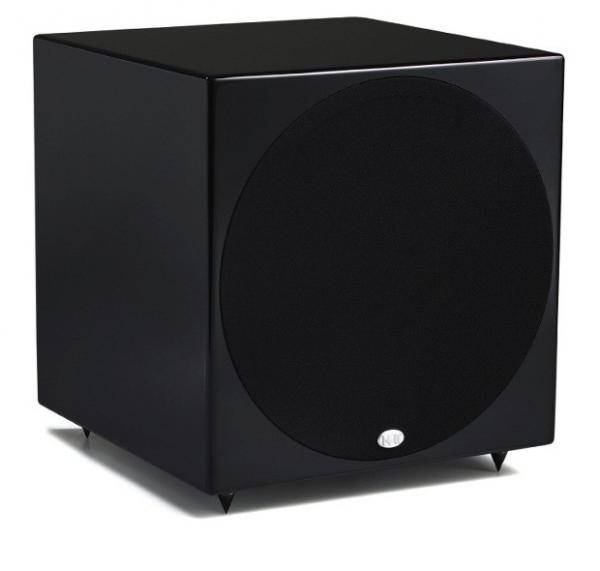 Usually where your main channel speakers are placed in your room for ideal 2 channel listening, sub bass information coming from those locations usually isn't a ideal place for bass notes to complete in your room. SO back to your questions I don't think one is better then the other for anything. 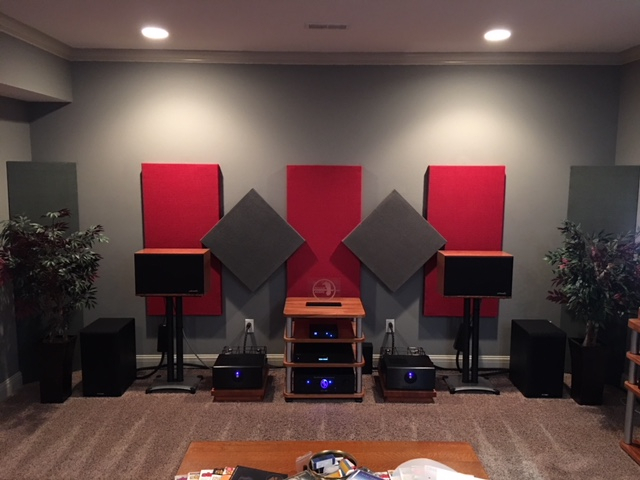 A quality sealed sub or a quality ported sub can have amazing results when setup and placed properly in a room. For years people thought that you can place a subwoofer anywhere and the room and just tune it to that location. Yes you can do that but most of the time these anywhere positions don't yield the best results. SVS is a brand I just don't have a lot of experience with. I set up a few of them many years ago and was highly disappointed in the results. From what I understand they have made huge quality gains over the years and I would love to try them again. I mostly deal with JL subwoofer which are pretty incredible subwoofers. More expensive then SVS but Maybe worth it. In my personal system I have Def Tech Mythos ST towers that for years where my main subwoofers. 2 subs built right into my towers and away I went. BUT I own many stand alone subwoofers and have been testing out stand alone placement in my room and not running Sub out to my ST towers. They are now running in small and allowing my external sub to do that duty with much better placement in the room. Good luck with your decisions and don't be shy to hit me up if you need help. Loving this thread! Lots of good advice here. Way more to consider than originally thought. Kinda like when I first joined this forum! Didn't know what I didn't know! 11 hour RT for me. Wife came with to pick up my speakers. We loved the veneer vault.